Welcome to our South Beach nightlife events calendar for weekly hot nightclub party packages and events in South Beach Miami. We offer the best Miami nightclub party packages every week for an amazing time in South Beach. Be sure to check our South Beach Nightlife Events Calendar daily for Miami’s best nightlife club packages, events and parties. 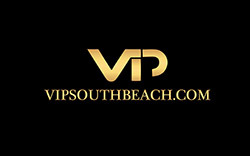 Make sure you contact VIP South Beach for all your nightlife reservation needs. We will ensure you get the VIP treatment and the best pricing possible for nightclub VIP table bottle service. We also guarantee entry into the club and ensure you get in with no waiting in line. With VIP South Beach you and your party will have complimentary admission, table and juice mixers. We know which South Beach Miami clubs are the best and the hot nights not to miss. Rockwell Nightclub South Beaches hottest Monday night party! Hyde Lounge: Retreat Fridays with Mr Sandman.